In preparation for a new year... 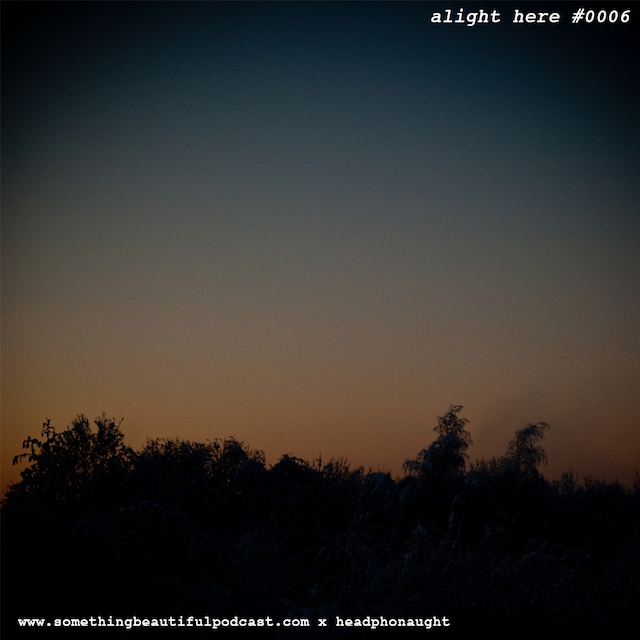 I give you the sixth instalment in the alight here mixcast series. 2010 was a great year for music and, as such, it is my intention to highlight some new material that has really captured my attention as well as more familiar tracks that have sustained my interest and really grown on me. All the artists featured are independent musicians... please support them by checking out their music, buying where appropriate, and spreading the word. 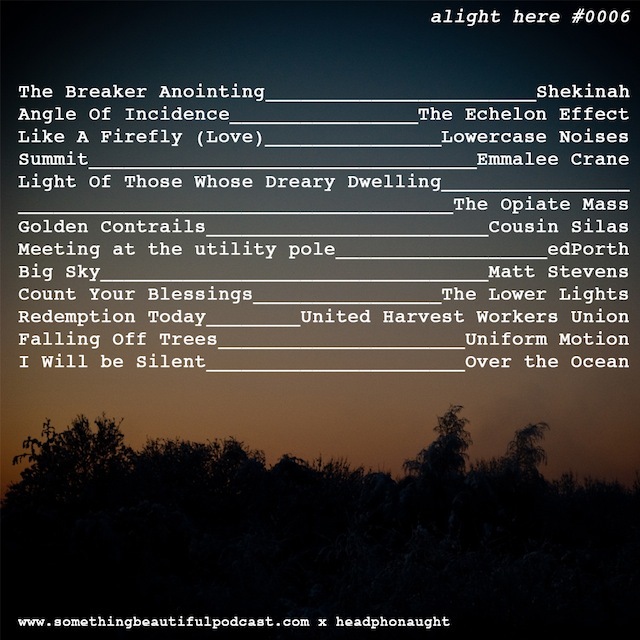 Oh and this mixcast is brought to you in conjunction with the something beautiful podcast - we have a "musical interlude" every-so-often and it was my turn... so it made sense to bring the two together. Download complete and playing. Thanks for latest compilation.